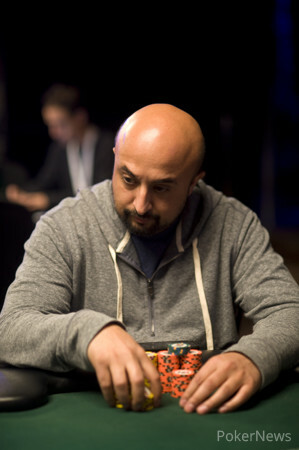 Rupesh Pattni got involved in all-confrontations with Molissa Farber on consecutive hands. On the first, Farber open-shoved all in with about 140,000, and Pattni called. Pattni held , and was behind Farber's . The board ran out . 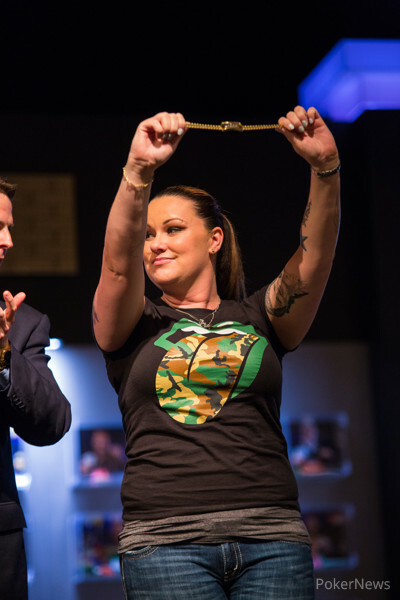 Neither player held a diamond for a flush, and Farber's pair of tens won the pot. Farber doubled up, and Pattni was left crippled. On the next hand, Farber raised to 50,000, and Pattni three-bet all in for just a little bit more. Farber called and turned over . Pattni held . The board ran out , pairing Pattni's king, but not giving him enough help to pull ahead of Farber's aces. Pattni was eliminated in 12th place, earning $26,128.